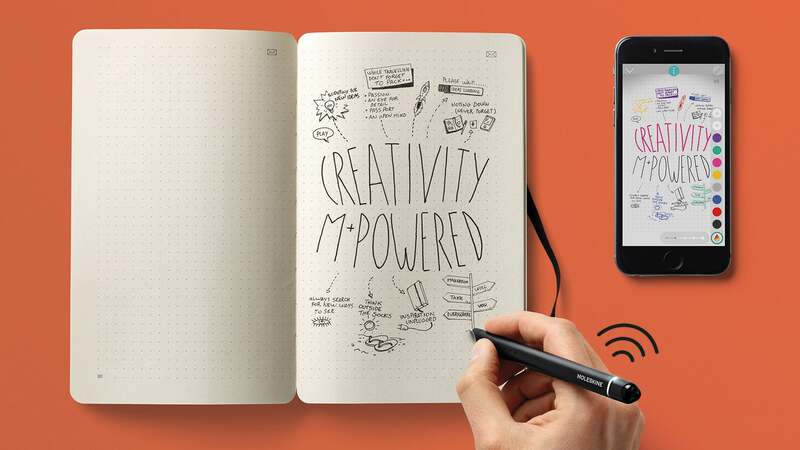 Moleskine, makers of some of the most popular paper notebooks in the world, has teamed up with the creators of the Neo Smartpen to make it a lot easier to digitize your hand-written notes and sketches, to move them onto your mobile device, and to share them. The Smart Writing Set, available starting today, isn't the first time Moleskine has created a connected product. It has previously worked with companies like Evernote and Adobe to create app-compatible notebooks, but both of those required you to photograph completed pages using a smartphone or tablet's camera, which often leads to mixed results. 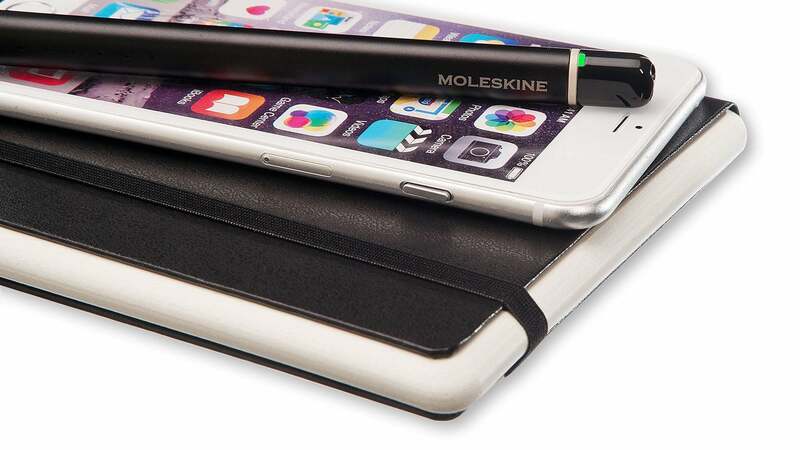 The Moleskine Pen+, a custom-branded version of the Neo Smartpen, uses a built-in camera to track the movements of the pen's tip on the notebook's pages. If you lean in and look closely at the above image, you'll see a subtle but defined pattern on the page — the company calls this nCode technology — that the Pen+ uses to ensure it's accurately tracking writing movements, position, and what page is currently being used. It's a similar approach to what smartpens from other companies like Livescribe use, but the Neo Smartpen has a relatively slim form factor because there are no additional electronics inside for recording audio while you write. That's still an option but handled differently. Accompanying the Pen+ is a new Moleskine notebook which the company refers to as the Paper Tablet. There's no touchscreen or electronics of any kind inside it, but Moleskine has cleverly made its pages bulge outward with a rounded contour, giving it the appearance of a digital tablet. The design doesn't add any unique functionality, but it will make it easier to discern the Paper Tablet notebook from other Moleskines you might be actively using — especially if they all have the same black cover. There's a third component to Smart Writing Set (not including your smartphone or tablet) in the form of the new Moleskine Notes app. 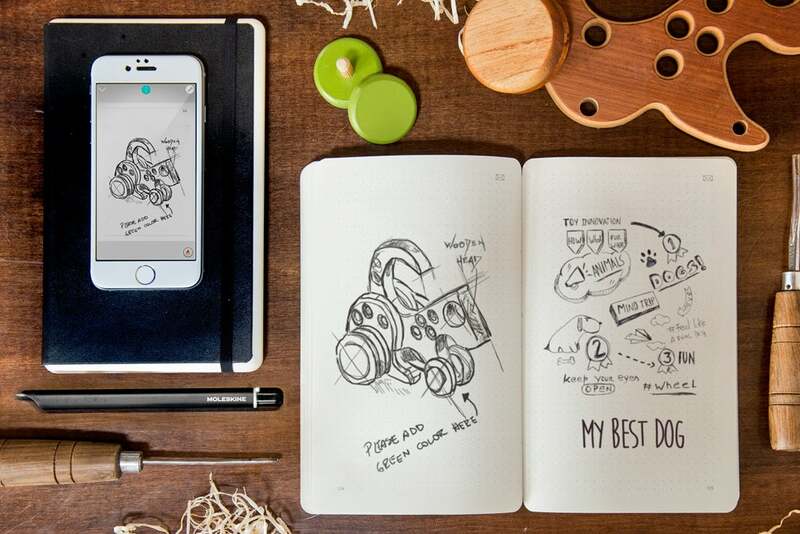 Using a Bluetooth connection to the Pen+ it digitizes everything you write or draw in the Paper Tablet in near real-time, and even has a shortcut in the upper right corner of each page for automatically emailing a digital version of the page's contents. The app provides additional functionality like the ability convert your hand-written notes into editable text, multiple options for sharing using email or services like Evernote, and even the ability to record audio via your smartphone or tablet while you're writing in the Paper Tablet. And if your connected device is buried in a bag and you need to jot down a quick note, the Pen+ also has enough storage onboard to capture 1,000 pages of notes before they need to be transferred to the app. The Smart Writing Set, which includes the pen, notebook, and free accompanying app, will set you back $US199 with no monthly subscription fees since everything is stored locally on your devices. Replacement Paper Tablet notebooks, which come with 176 blank pages, are $US30 each. But since the Moleskine pen uses the same nCode Technology as the Neo Smartpen does, you can also use it with other compatible notebooks, or even just print your own special paper at home on the cheap. 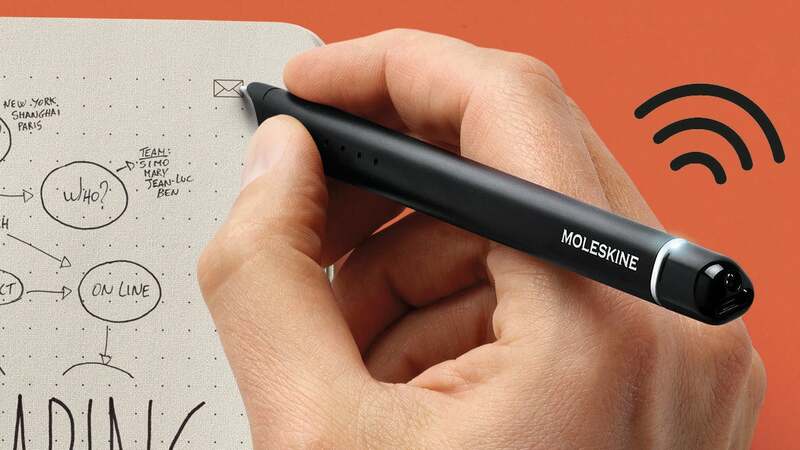 We're checking with Moleskine locally whether the Smart Writing Set will be released within Australia — we expect a roughly $299 price point for the notebook and smartpen combo.